Now, I suppose that a disclaimer should be given at this point. What I’m about to share is based on the perspective of a writer, not a lawyer. Okay, I hope that helps you to understand there is no client lawyer relationship here – I do not practice law. My answer is both. The copyright registration gives a certain level of legal entitlements for life and the WGA registration gives you a quick validation of the work’s existence. The thing I like about the WGA is that I can instantly register my script online with a third party that, if needed, will send a representative to testify in court on my behalf. The WGA rep would testify to the facts about the particular script in question being registered at a specific date and time under my name. When I was a kid, writers were know to mail themselves copies of their work in a post office sealed envelope. The seal would have a stamp placed across it and cancelled to prove the contents were in existence at the date of the cancelled stamp. This held up in court during numerous trials, but started falling apart when the seal was broken due to climate conditions or other reason. Being able to show the Library of Congress certificate for copyright registration of the work in court is the ideal. 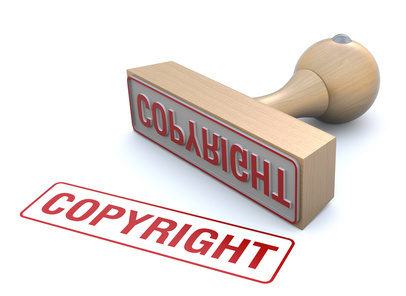 Since the Library of Congress is a government entity, holding the copyright brings a quick end to any trial dealing with a possible infringement. However, it takes 2-6 months for the registration, which puts the work at risk for some time. The best news about a copyright registration is that it entitles the writer who wins the court battle to receive an award of statutory damages and attorney’s fees. There are no awards based on the WGA, as there is no legal precedence that gives the WGA legal clout. Some screenwriters take advantage of the copyright laws that allow you to own the copyright without registering the work. However, this becomes a little precarious without additional proofs of the creation date, which the WGA registration would help. However, it’s my practice to register all significant version changes with the WGA and the “first” work and or the “finished” work with the copyright office.